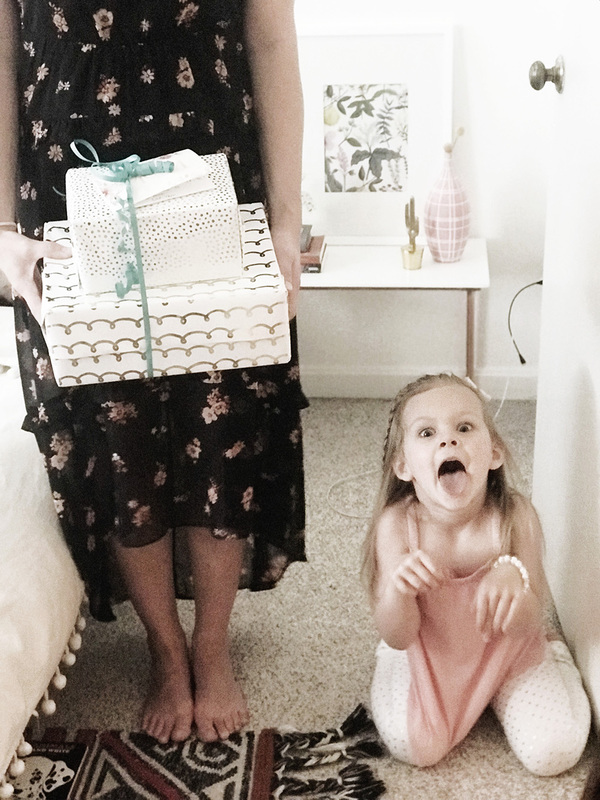 Usually, mom is left out of the gifts, its all baby clothes and blankets. Which are definitely essential! But, I think it’s always nice to include the expectant mother with a gift that’s full of things that are just for her. After all, she IS the most important person in the whole process! 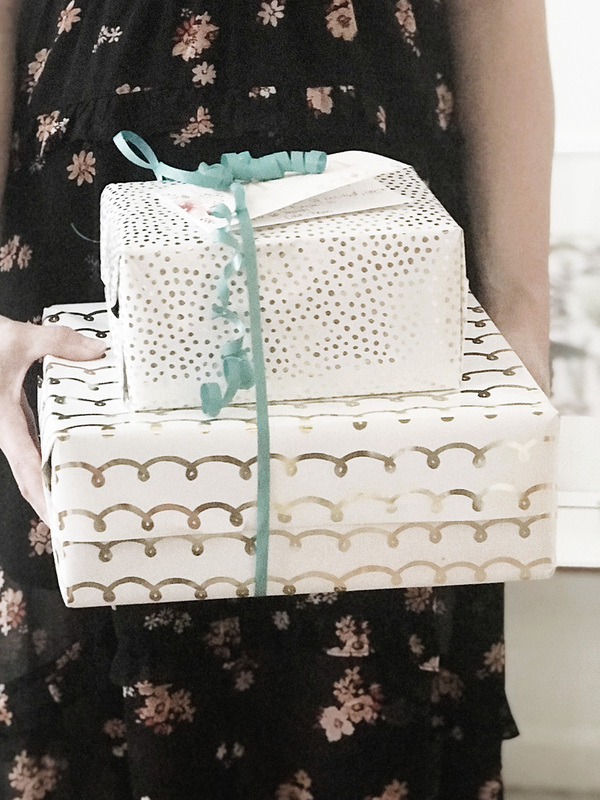 I was able to give these gifts for Mother’s Day, which was perfect, but it’s truly my favorite shower gift to give! Its always a huge hit with the mom and all the guests. 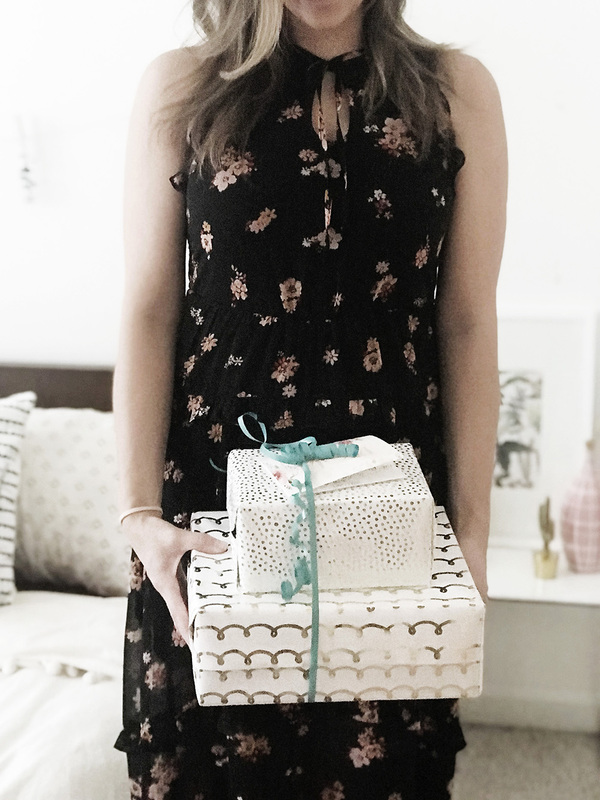 I like to include little notes on each item about why I love it, so I whipped some up that are pretty, along with a matching card, and are available as a free download at the end of this post! Oh. My. Goodness. These little babies are LIFESAVERS if you are planning to nurse! They give you a wonderful little cooling sensation that’s value cannot be overstated in those first new days of nursing. Bring these to the hospital. If you only pack one thing THIS IS IT. I adore these bottles (they rock for working out cus you don’t have to stop walking/biking to take a drink!) And for labor, they’re the best! Every delivery room is different, but where I had Stella there was no side table or anything near me to keep a drink on. So I loved this bottle that I could just keep right next to me on the bed because it’s spill-proof! Lip balm and lotion are something every woman loves! And almost definitely something she’ll need in the few days at the hospital. Spring for something that is good quality, but also mild smelling as during labor/when she’s still pregnant she may not like anything too strong! Mom only needs to bring a handful of these with her to the hospital, not the whole box and she may not even need them there. But a day or two after she gets home, while her body is still trying to figure out this whole milk thing, she’ll be grateful she has a big box to go through. This is the one on the list that is technically not a hospital essential for mom. It’s a luxury item for sure. My husband was able to score a couple of these Samsung Galaxy Tablets for a great deal from a friend so I was happy to include them this time around! I love android in this instance because you can download digital movies (or torrents) right to them. 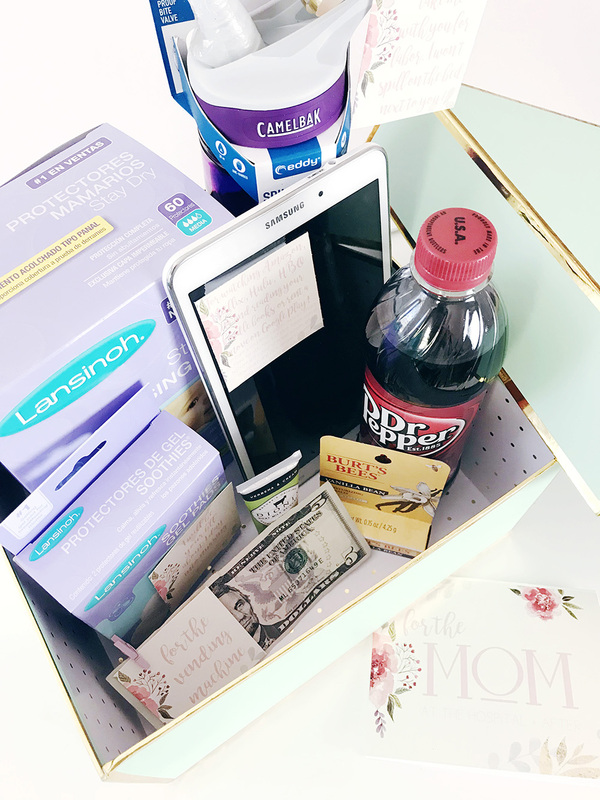 I added a few files right to these and downloaded all the entertainment must-have apps (Netflix, Hulu, Kindle, etc) so it was ready to go for the mom! Personally, I didn’t find much time at the hospital for things like that. But every experience is different and my SIL is having a c-section so her stay will be longer. One of the few things she’ll definitely be allowed to have while waiting for active labor and can really take her mind off her possible hunger! Most of mom’s meals should be covered at the hospital but there may just be something that catches her eye in the vending machine. Give her a couple of bucks so her (or her partner) can have a treat! Nursing bras are the greatest invention for new moms maybe ever. If they didn’t exist, you can bet I’d have gone completely bra-less for all the time I nursed. Which does sound nice..but maybe isn’t the best option..So if you know mom’s size (size up…cus milk!) and grab her one of these must-haves. And just do the right post-partum thing and make it loose fitting. Oft forgotten and always needed! Whether you included #6 or not, no one is going to be mad you gave them an extra charger. Some moms are really really good and don’t drink their fave caffeinated drinks during pregnancy. Some don’t have the choice because they have gestational diabetes. 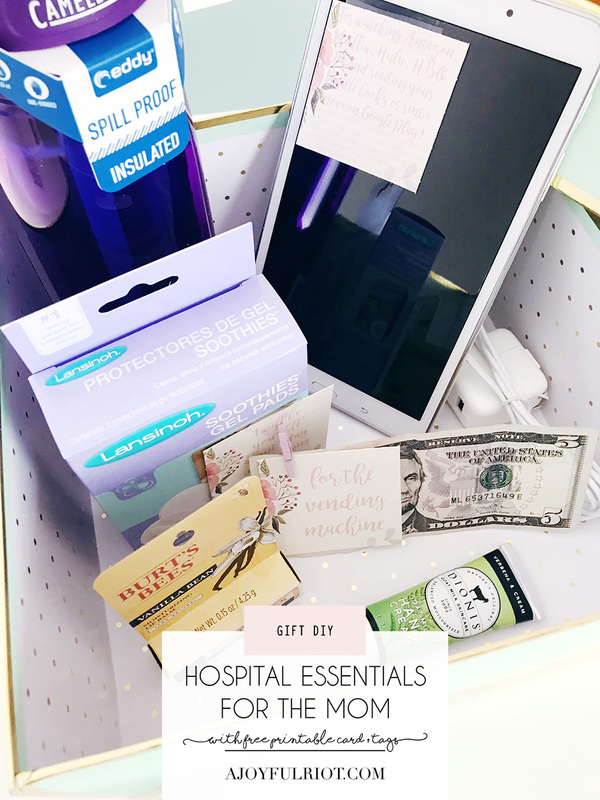 Either way, your expectant friend will love this thoughtful addition to their hospital bag. Sprinkle Party Hats | Free Printable Friday + The 9 things I Didn’t Know About Becoming a Mom Mother’s Day Gift Guide + A Giveaway! Machelle’s Baby Shower Brunch!